Every Friday we choose our favorite photo of the week from our Wildlife Photo of the Day website. 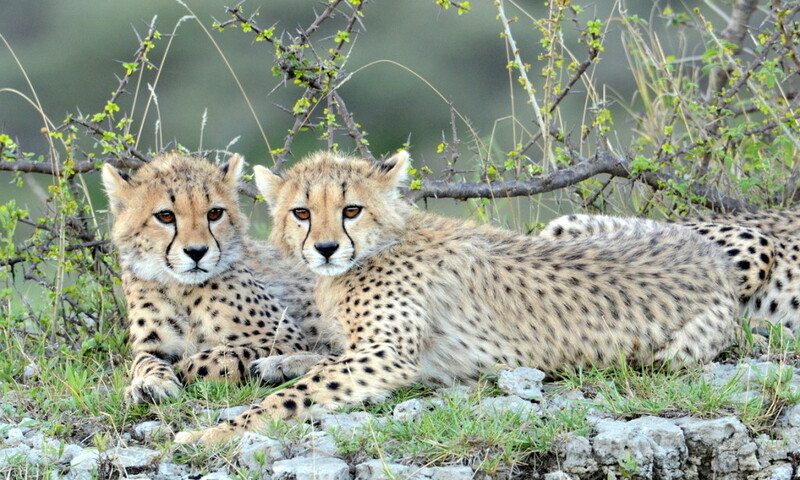 This week we selected adorable cheetahs relaxing in Tanzania. Photographer Karin Leperi took this photo while on safari in Tanzania’s Serengeti. Have you taken some amazing wildlife photos during your travels? Submit your own photos for the chance to win a spot on Wildlife Photo of the Day! To get the top wildlife photos delivered to your inbox, subscribe to our convenient Weekly Digest. It’s sure to quickly become your favorite email of the week! Kendal’s travel adventures began with family road trips across the country every summer, and she has been exploring ever since. She has a degree in graphic design with a minor in mass communication. In 2013 she joined Natural Habitat Adventures.